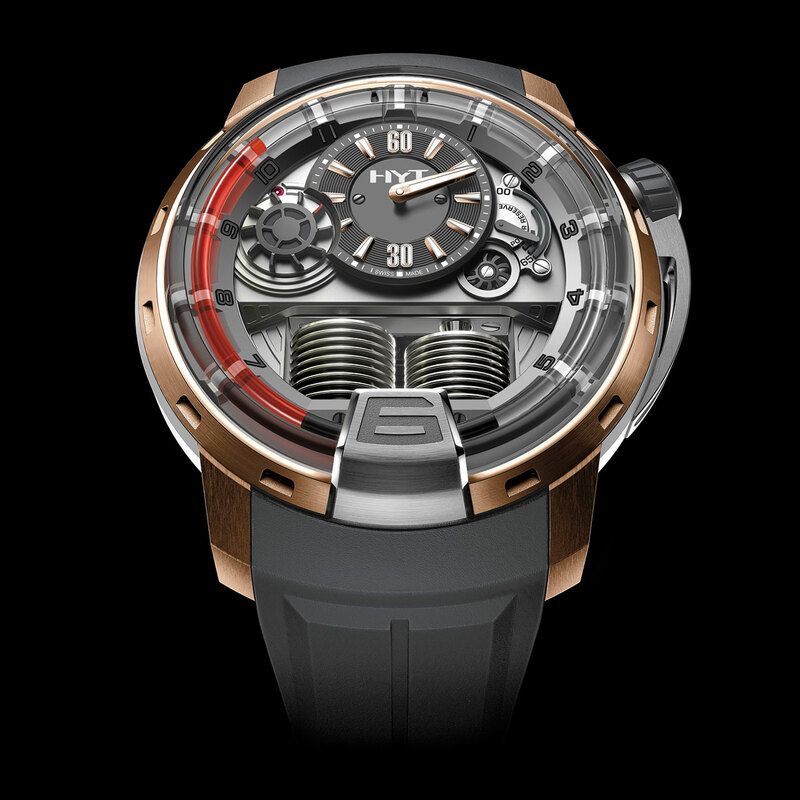 The first ever wristwatch to show time using a liquid, the H1 is back with a new red fluid, the result of over a year's R&D. Stored in a reservoir under the dome at 6 o'clock, this liquid advances through a capillary as the hours go by, then returns to its initial position in a retrograde movement after completing one circuit of the dial. Located in the upper part of the watch, a haute horlogerie mechanism commands these fascinating fluid mechanics. It propels a cam which pushes a piston to activate the bellows which alternately compress and expand the reservoirs, one of which contains the red, water-based liquid and the other a transparent, oil-based fluid. Limited series of 50.